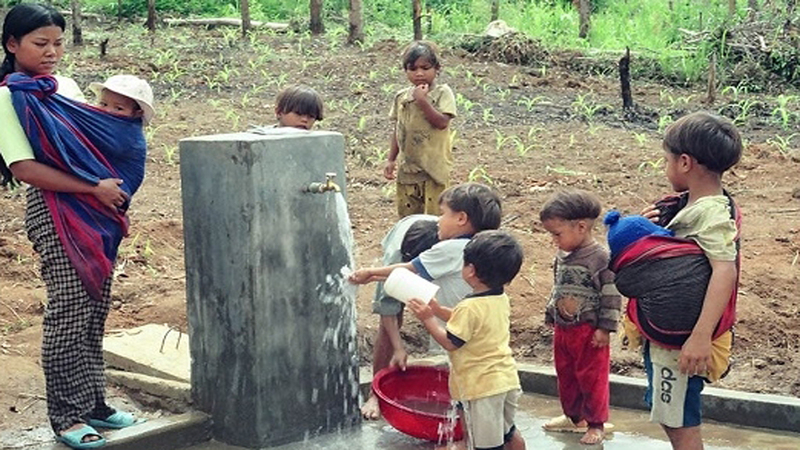 A rural clean water supply project in an ethnic minority area. To aptly organize for the response events, the Ministry of Natural Resources and Environment (MONRE) hosted a meeting in Hanoi on March 5 to discuss plans for observing World Water Day (March 22) and World Meteorological Day (March 23) in 2019. Accordingly, the activities set to be organized include the launching ceremony to respond to World Water Day and Vietnam International Water Week 2019 as well as scientific seminars and communication activities in Hanoi. The ministry also encourages the organization of response activities in localities, with a focus on disseminating information on natural disaster prevention and control for local students. Israel’s most advanced technology in the field of agriculture and water will be introduced at an upcoming exhibition scheduled for Hanoi on October 27. They plant the creeper on the common water hyacinth to co-opt the flooding season. The Prime Minister has agreed an investment plan for a project to intensify the protection of underground water in Vietnam, phase II, using non-refundable official development assistance (ODA) of the German government. (BGO) – The Ho Chi Minh Communist Youth Union on September 24 announced the shortlist of 10 start-up ideas to the final round of “the first National Start-up Contest for Rural Youth 2018”, including the model of “Freshwater pearl oyster farming and culture” of Truong Dinh Tung (born 1992) in Dao Luoi hamlet, Dong Hung commune (Luc Nam district, Bac Giang province).